Royal Caribbean Cruises’ executives attributed lower earnings to several voyage disruptions and competition in the Caribbean, pushing pricing down, on the company’s Q1 earnings call today. Royal Caribbean reported net income of $26.5 million on revenues of slightly less than $1.9 billion, compared to net income of $76.2 million on revenues of slightly more than $1.9 billion last year. Over the past 10-year period, the company reported its highest Q1 net income of $189.6 million in 2005. The disruptions included the temporary closing of Galveston due to an unrelated incident there, propeller damage to one of its ships in Japan and a Norovirus outbreak on another ship. For the full year, Royal Caribbean adjusted its guidance for the year slightly to $3.25 to $3.45 from $3.20 to $3.40. According to Richard Fain, CEO and chairman of Royal Caribbean, the company is bullish on China and Europe for the balance of the year, but described the Caribbean environment as remaining “promotional” although the Oasis-class ships are generating the highest per diems in the market. 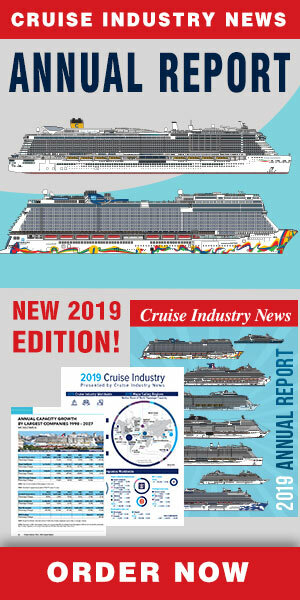 Fain said that bookings have been accelerating driven partially by promotion of Caribbean cruises but also by what he called quality demand for Alaska and Europe. Both demand and pricing are up year-over-year for Europe. In total, Royal Caribbean will have 22 percent of its brand capacity in Europe this year and expects higher yields than in 2008, according to Fain. 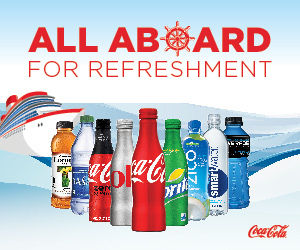 Adam Goldstein, president and COO of Royal Caribbean, commented that the focus is on driving revenue in the Caribbean and that promotions allow the company’s brands to compete more effectively in the market environment. Still, he expects Caribbean returns to be down slightly year-over-year. As for moving the Quantum of the Seas to China, Goldstein described it as a strategic move to establish the brand as the leader in Asia, particularly in China. He said that the 2014 summer season has booked earlier and at higher rates than before, and he expects that development to continue. Goldstein also noted that part of his new position is to further grow the global footprint of the company. Michael Bayley, president and CEO of Celebrity Cruises, commented not just on Celebrity, but also about the Royal Caribbean brand, where Goldstein was president and CEO until very recently. A replacement has not been named yet. Bayley said that for Europe strong demand, particularly from North America, was driving higher prices.